You are currently browsing the Archaeofacts.com archives of Musings for the day Thursday, May 17th, 2007. Despite the significant drops in crow populations (and other species), we did see several and hear more when we were descending Brasstown Bald a few weeks ago. 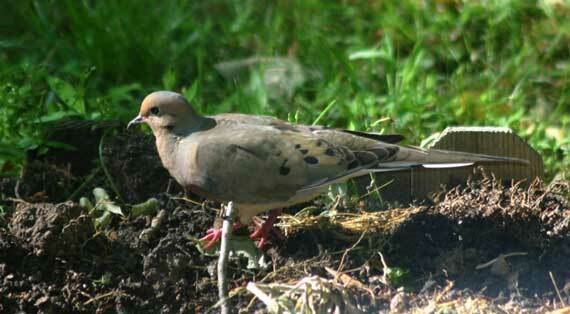 No crow pictures; I’m substituting a dove. I’ve worked with politicians, and gangsters, and holy men, and let me tell you, none of these can compete with a writer for mountainous inflations of ego and mouse-like insecurities of soul.